VoterMarch was founded on November 14, 2000, by Louis Posner and Chris Acosta from New York City, and Bob Rogers and Les Souci from Washington, D.C., to organize American voters who wanted to express their opposition to the recount irregularities of the 2000 presidential election. 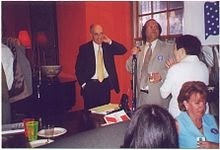 Louis Posner was the National Chairperson. As an Internet-based, not-for-profit grassroots group, VoterMarch fought for voter rights, electoral reform and a progressive agenda. 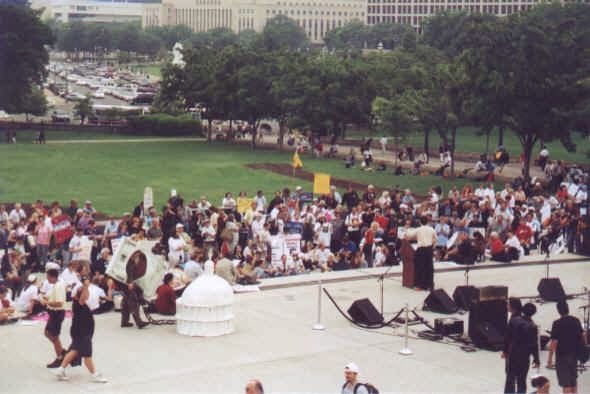 By early 2001, VoterMarch had built an online community of activist members, with more than 60 state and local chapters, and over 10,000 individuals enrolled in VoterMarch email lists and egroups. 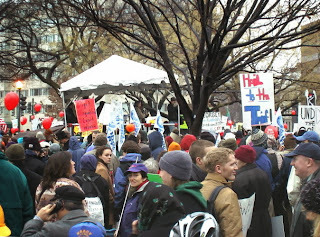 [See, VoterMarch Archives, Press Release on Voter March Grassroots Group, April 15, 2001] VoterMarch is headquartered in New York City and included affiliate chapters VoterMarch DC, Seattle VoterMarch, and Voter West. 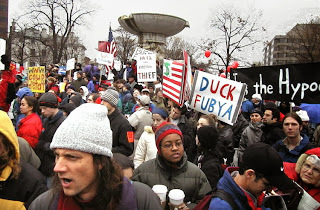 VoterMarch organized major national demonstrations to protest the disenfranchisement of voters in presidential election 2000 in Florida and the controversial U.S. Supreme Court decision in Bush v. Gore. A sister Voter Rights March was held on May 19, 2001 in San Francisco,[See, Grassroots Group to Demand Voting Reform at Bi-Coastal Event, VoterMarch, Press Release VoterMarch Press Release] where Rep. Nancy Pelosi was a speaker. * Increasing voter participation in elections by eliminating bureaucratic hurdles, registering citizens to vote and reducing the voter apathy that results in half of the eligible population not voting. 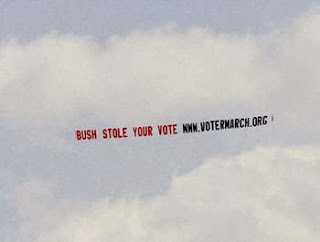 VoterMarch has continued its voter rights campaigns in 2012 with the Tax Wall Street educational blog and in joining Greg Palast's Billionaires and Ballot Bandits Action Groups.